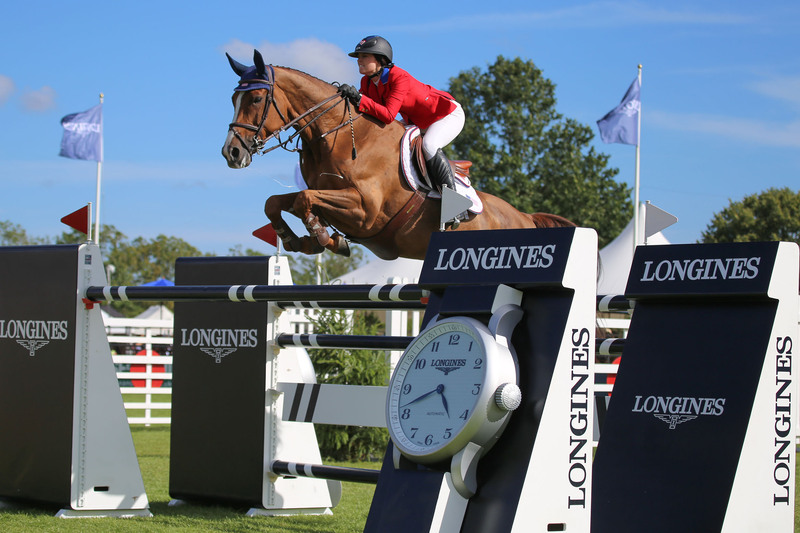 Several of the world’s leading showjumping nations will head to the All England Jumping Course this summer for the Longines Royal International Horse Show at Hickstead (29 July – 3 August), the official show of The British Horse Society. The Furusiyya FEI Nations Cup™ (Friday) and the Longines King George V Gold Cup (Sunday) are the showpieces of Hickstead’s CHIO5* fixture, each having a prize fund of €200,000. In the former, the British team will be competing against Belgium, Germany, Ireland and The Netherlands as they all bid to pick up qualifying points towards the Furusiyya FEI Nations Cup™ Final in Barcelona in October. They’ll face further opposition from the USA, France and Sweden, who have also elected to send teams to Hickstead. Britain has not won the FEI Nations Cup™ since 2010, with Germany winning in 2011 and 2013, and Ireland finishing victorious in 2012. The Royal International comes just a few weeks before the Alltech FEI World Equestrian Games in Normandy, so will no doubt prove a useful guide to form ahead of the championships. Last year’s Longines King George V Gold Cup did deliver a popular win for the British supporters. Almost a year to the day from his team gold medal success at London 2012, world number two Ben Maher jumped a double clear to win the King’s Cup on his former Olympic partner Tripple X III. The other class that forms part of Hickstead’s ‘triple crown’ is the Templant Events Queen Elizabeth II Cup. This used to be a national championship for lady riders only, but in 2008 it was opened up to men and women. Since then, male riders have dominated in Saturday afternoon’s feature class, with the only ladies to win it in recent years being Laura Renwick in 2009 and Anna Edwards in 2010. The international action begins on Thursday afternoon with the Bunn Leisure Trophy, which forms a qualifier for the Longines King George V Gold Cup. The international classes will feature the highest ranked riders in Britain plus some of the very best competitors in the world; while a huge range of national showjumping classes will attract entries from around 900 riders and 1,500 horses. In the showing classes, around 1,600 horses and ponies will arrive at Hickstead, having qualified for their respective classes at shows around the United Kingdom. The best of these will go through to their respective division championships, and the winners will go through to the final judging of the British Horse Society Supreme Horse and the Underwood Supreme Pony Championships, held on the Sunday. To book tickets for the Longines Royal International Horse Show go to www.hickstead.co.uk or call 01273 834315.